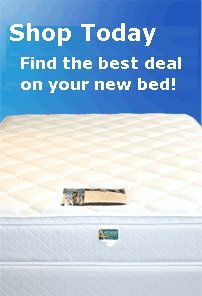 Learn about the Slumber Pros | Your Online SuperStore for all Beds, mattresses and bedding products. We want you to be 100% satisfied with your purchase. If you are unhappy with a purchase, you can exchange it between 30 and 60 days after your purchase according to the terms of our exchange policy. You can make purchase online 24 hours a day, 7 days a week, 365 days a year. In order to keep our costs down and pass on as much savings as possible to you, the consumer, we can only offer free shipping on purchases. If you return your product, we must deduct the full cost of shipping from the return amount. Our policy of not charging sales tax only applies to U.S. orders. International orders may face applicable local and international taxes. Please bear in mind that many of the mattresses we sell are not warehoused. They are made to order. This means that your mattress is not stitched, assembled or foam covered until you decide to order. Many of our manufacturing partners take only a few days until they ship, but some take longer. As such, allowances must be made for the mattress to be created after your order. Some of our mattresses can take up to 6 weeks to deliver. While we apologize for this length of time, remember that great products take time.